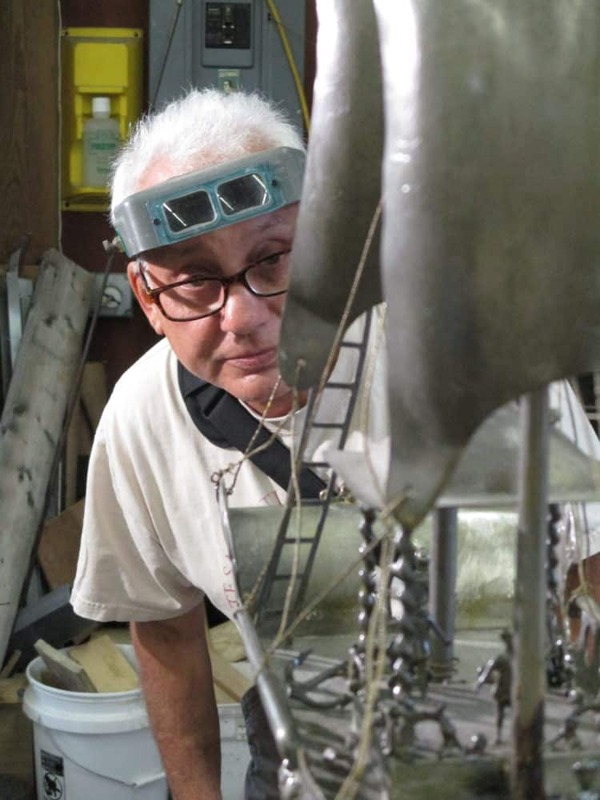 Senior Conservator of Sculpture Thomas Podnar has treated large metal sculpture to small decorative works of art. 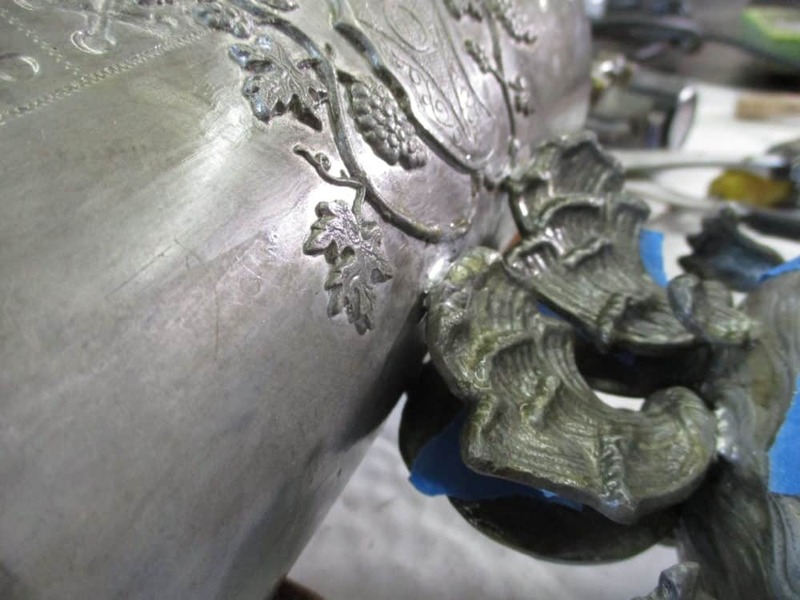 One of his recent metal conservation treatments was of a pewter decanter. The decanter is in the shape of two-masted sailing ship. 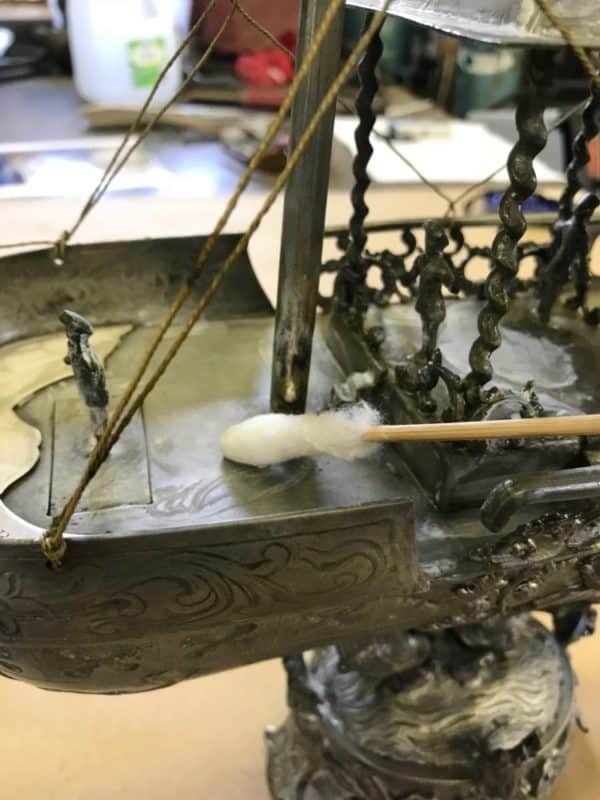 The silver-colored drinking vessel is in the Germanic style with intricate relief designs gracing the hull of the ship. Several small metal figures appear to man the deck and mast. The object was intended to commemorate John Philip Sousa, a Romantic era conductor and composer who is most well-known for his military and patriotic marches. Before treatment, the ship decanter was in unstable condition with several elements that were loose or completely detached. The jib had separated from its original soldered mounts to the bowsprit and top of the foremast. A flag on the main mast was torn vertically between the mast and the first fold. The main sail spar was also torn at the solder joint from the main mast. Four decorative wavelet fragments on the base had become separated from the base, and the base has also detached from the hull of the ship. 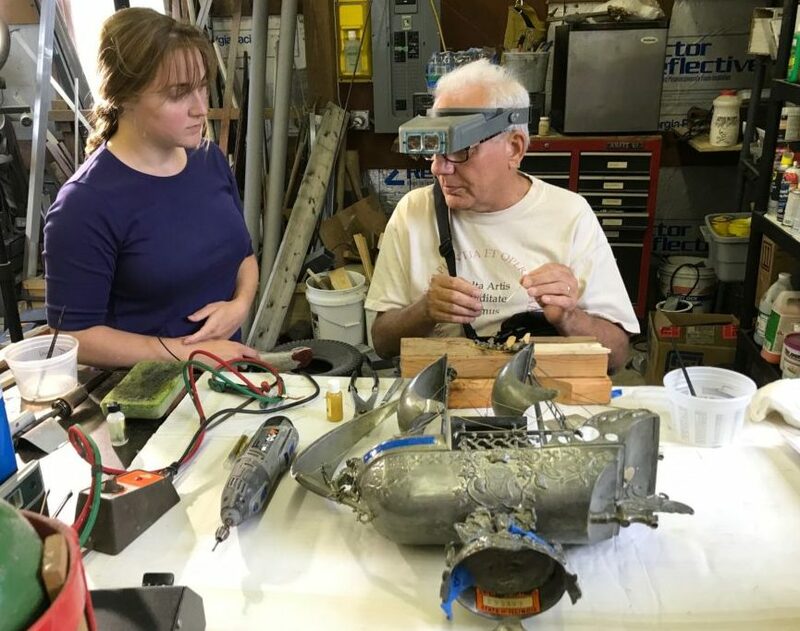 And, last, “boat naut” least, the object had an overall, yellowed coating which disfigured the otherwise gray metal surface. Conservator Podnar carefully laid out and labeled the fragments. In some instances, the soft pewter metal needed to be bent back into its original shape before it was soldered. A level and other measuring implements were also used to ensure all components were correctly aligned before reattachment. 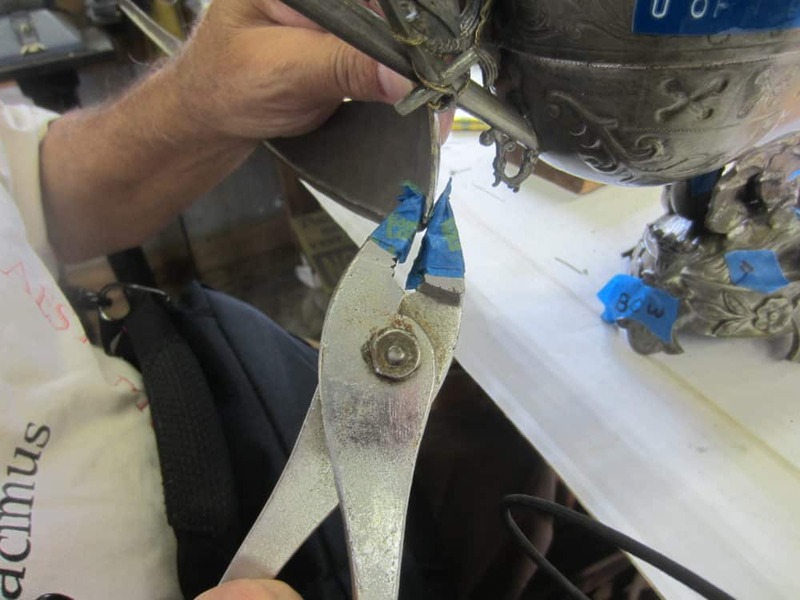 By fixing bent elements it ensures the best fit possible for when the fragments were reattached. Each area to be soldered was then cleaned with manual action and solvent. This is an important step before soldering as the metal must be as clean as possible to guarantee a good bond. 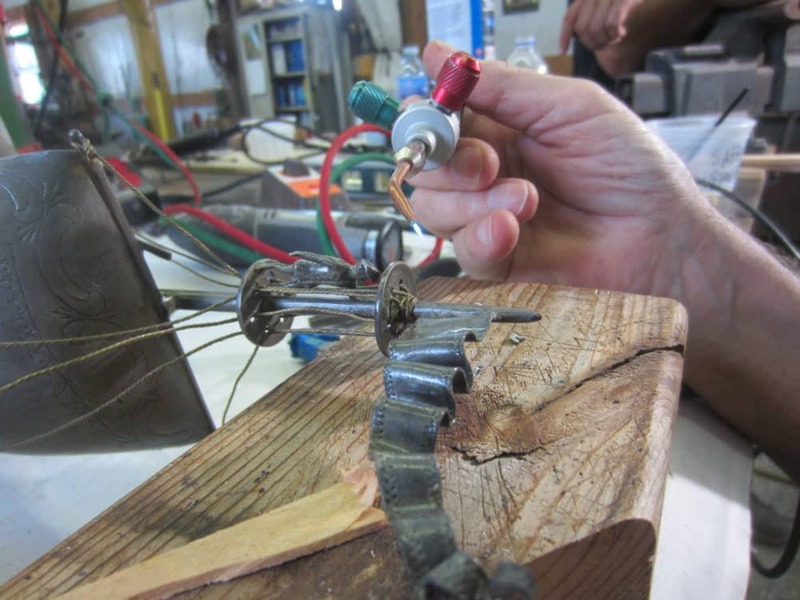 The wavelets were bonded to the base then attached to the hull of the ship with solder. Next the jib, main sail spar, and flag were also reattached with solder. 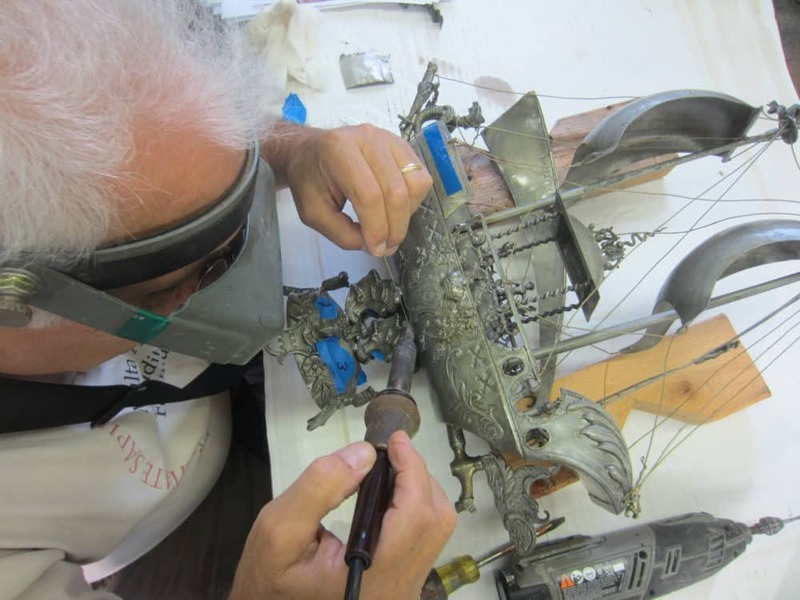 Rejoining the fragments via soldering is a delicate process requiring a steady hand and control. Loose rigging was adjusted to an appearance that most likely resembled the original tension. 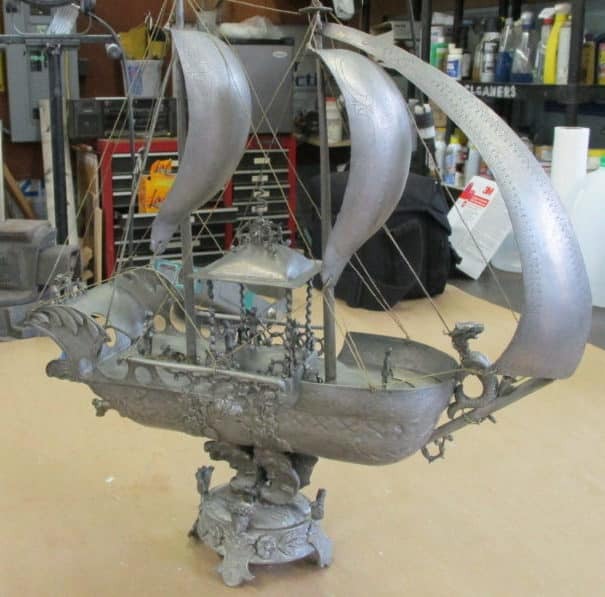 “Schooner” or later, the pewter ship decanter was once again in one piece. 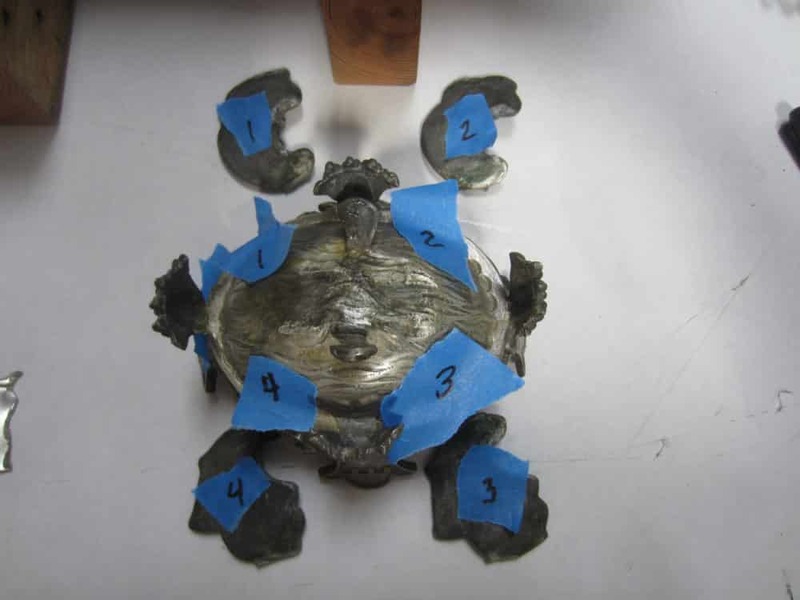 Often, pewter objects and other metal objects like this form corrosion products on the surface that must be removed with organic acids, like acetic acid or hydrochloric acid. Fortunately, the surface had only an old discolored varnish on the surface and was otherwise in good shape. With the object stable, solvents were used to clear the yellowed coating. Archival housing was created for the object before it was returned to the client as a final step. 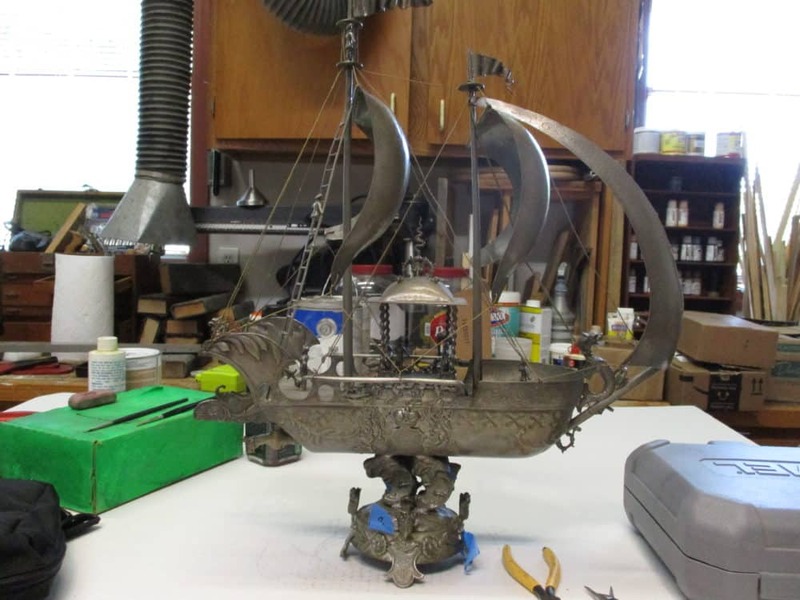 We “mast” say the pewter ship decanter is now in excellent condition after its pewter conservation treatment.